Indian Railways has closed the free insurance policy on e-tickets received by passengers through online booking on Monday, September 3, 2018 at irctc.co.in. From now onwards, passengers will have to pay a premium of 68 paise to claim insurance for any inconvenience during travel under Indian Railways. Indian Railways Free insurance policy on e-tickets received by passengers through online booking has been closed on Monday, September 3, 2018. 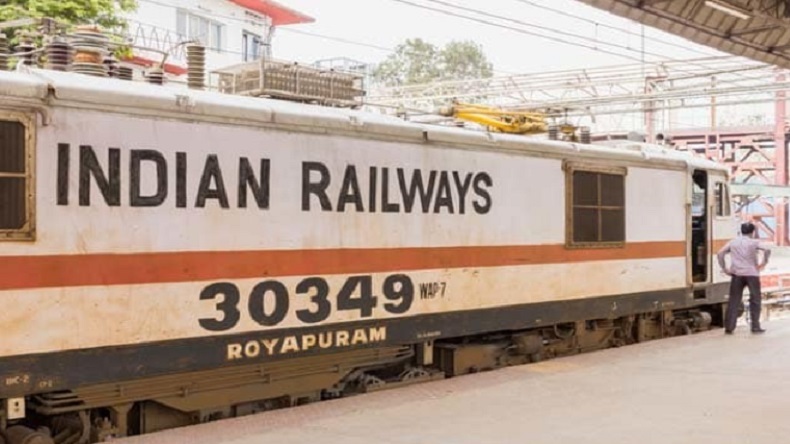 Passengers travelling with the Indian Railways will no more have the benefit of free insurance but will have have to pay a premium to get insurance. According to reports, the premium for the insurance has been fixed by the railways at 68 paise per passenger. 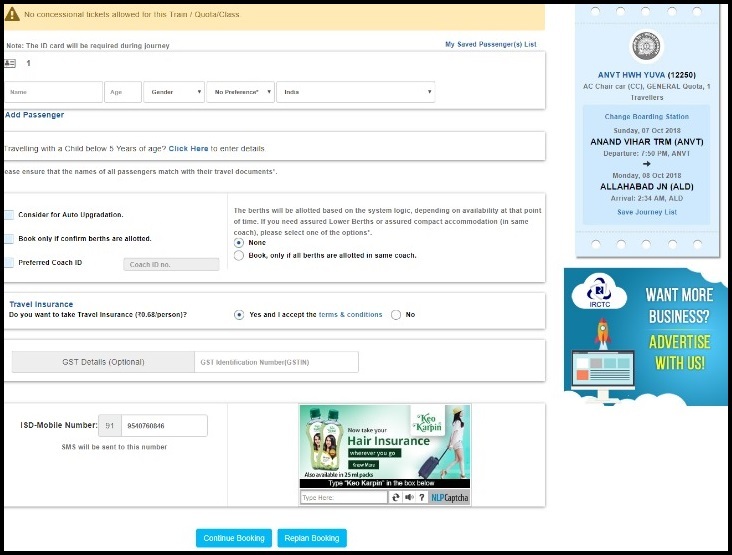 When passengers log in to the official website of IRCTC for booking a ticket online from the website of Indian Railway Catering and Tourism Corporation (IRCTC), they will see the option of opt-in and opt-out for travel insurance on e-tickets. If a passenger wants to avail the benefits then they have to opt-in and if not click on the opt-out option on the website. However, passengers making a reservation from the reservation ticket counters at the railway station of Indian railway will not get this option. Thus, from now onwards only those who pay the premium for insurance will be able to claim any inconvenience caused during the journey. Meanwhile, in what seems like to be a compensation on withdrawing the free insurance on e-tickets, the Indian Railways Catering and Tourism Limited (IRCTC) has started to offer 10 per cent discounts on tickets booking through its official website – www.irctc.co.in. However, a passenger can avail this offer only if he/she book their tickets through digital platforms like Paytm and MobiKwik. Log in to IRCTC’s website – www.irctc.co.in) or mobile application. Enter captcha code and click on proceed to payment. In wallet category, choose either from Paytm, Freecharge or Mobikwik to avail the offer.